Three bloggers who regularly bring the wargaming battle reports and other gaming goodness are Adam Carriere of Fencing Frog, Jay White of Jay's Wargaming Madness, and Steve Carey of Cheatin' Steve's blog. If you like seeing these battle reports, painting efforts, terrain builds, photos from wargaming conventions, and photos of wargaming at other conventions or around folks game stores and homes, then Follow and bookmark these blogs for your own regular perusal. For my own part, I will continue to report on their activities from time to time alongside my own blogging. 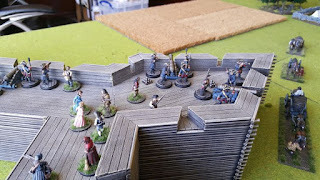 For this week on Wargaming Wednesday, since my next Surcoat scenario needed to be pushed back a week, I was casting about for some wargaming goodness to Share and turned to these three from news from their own necks of the woods. 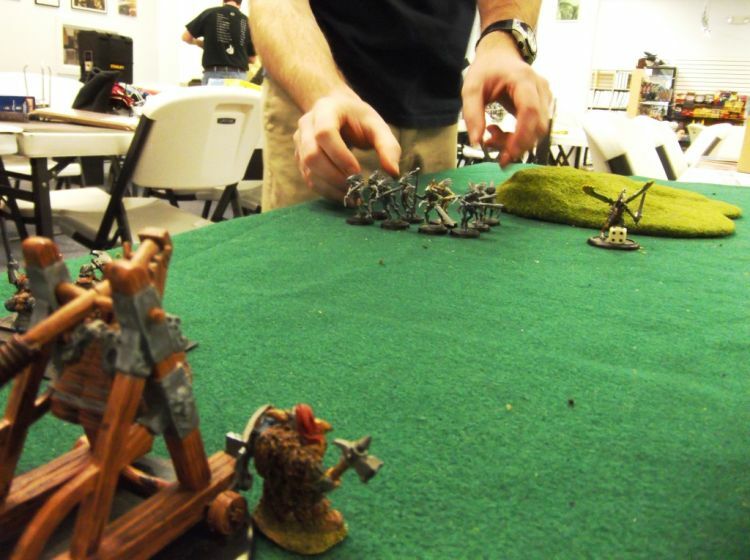 They did not disappoint and first up from Adam comes a battle report from early this month "Dragon Rampant: Death Race Kroot Vs. Humans and Dwarves" here. 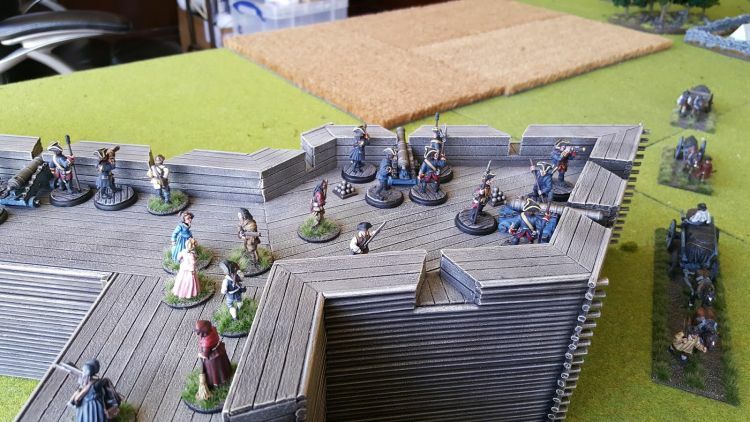 Also, Jay was kind enough late last month to share with us his "Raid On Fort William Henry Playtest Report" here. Finally, Steve gave us a report from "Cold Wars 2016" here with all sorts of top notch photos.